Either way you enter into The Mackenzie Basin, everyone notices a sudden change in the landscapes ahead of them. From the north as you wind your way around corners, often covered in low clouded hills, or from the straight stretches of the South your provided both ways with a sudden striking view ahead that peaks the senses. A long line of snow cloaked mountains pierce across the horizon as if rising our of nowhere. Often big blue sunny skies lay cast across golden tussock covered grasslands, making the mountainside have a velvet like feel to them with a contrasting array of bright colours, and some days even every colour in the rainbow can be found in this unforgettable region of New Zealand’s South Island..
A unique and mystical place, The Mackenzie High Country is different from any other mountain region in the World. The Mackenzie Basin is known as the largest intermontane basin in New Zealand which is a major reason why this area looks so different from the rest. An intermontane basin is basically an area of land that is bordered by mountain ranges. 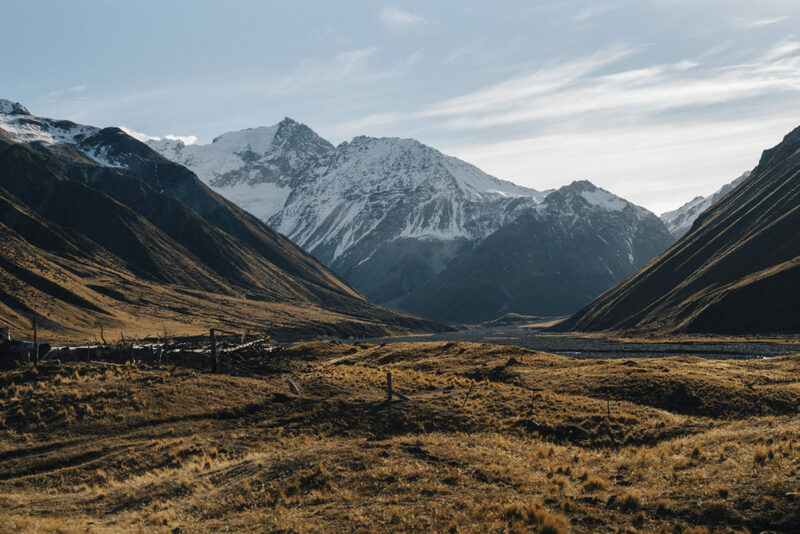 The ranges that primarily border us in The Mackenzie Country consist of the striking Ben Ohau Mountains to the West, the Two Thumbs range to the East, The Liebig Range to the North and the Benmore Range & Grampian Mountains to the South. What happens is The Mackenzie Basin is often protected from the adverse weather systems that slam into the mountains from either side, and it creates a protected area where by we miss out on alot of the bad weather. Instead we get slammed with super high winds that come from a Westerly, which end up drying out the soil and grasslands, creating its own semi desert like landscapes and a unique dry-land eco system.The Mackenzie High Country is a unique and mystical place , different from any other mountain region in The World. The High Country of the Southern Alps offers defining features and landforms found knowehere else in New Zealand. For the average tourist enjoying the scenery, they wouldn’t know just how special the area’s landscapes trully are , without learning about the incredible glaciation processes that have occurred over the thousands of years, and that essentially have formed the Mackenzie Basin. We can see and explore the Oustanding Natural Landscapes outside of Lake Tekapo and Lake Pukaki if we just choose to venture a little bit further off the beaten path. 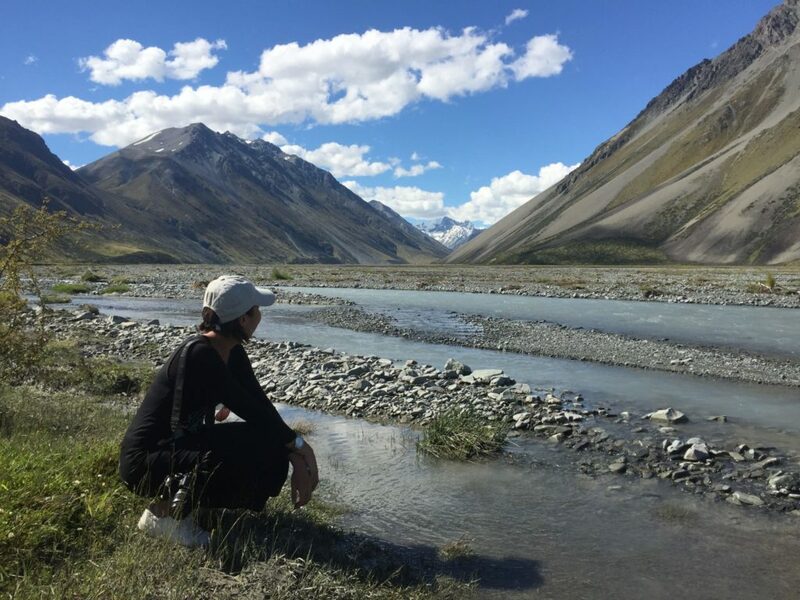 Our Lake Tekapo Tours offer visitors not only a visual experience of the high country landscapes but an educational tour from Lake Tekapo where by visitors can gain an insight into why The Mackenzie Basin holds such breathtaking vistas and unique landscapes. By teaching visitors about the environment around them , they may develop a deep connection with its beauty and timeless wonder, which will hopefully allow people to hold more respect and care for such unique places and for the earth as a whole. High Country landscapes have a story to tell and a lesson or two in how nature forms her beauty over thousands of years by glaciation processes. Tekapo Adventures believes having a better understanding of the landscapes around you, allows you to experience them in a deeper way. As thousands of people flock to explore Lake Tekapo and Lake Pukaki and Lake Ohau for their brilliant turkoise coloured waters, these lakes also offer an indescribable beauty from the source of their existence. Once again going beyond the lakefront and accessing the high country wilderness offers a deeper view into its breathtaking backcountry surroundings . From the height of the mountains running deep into the valleys, their spill into the Braided River systems forms the birthing of these incredible glacial fed lakes of The Mackenzie Basin. Being able to get up close to these braided river systems, and their source of the high snow capped peaks is like stepping into a dream some of the most iconic landscapes of the World. Have you seen a braided river up close before? Have you ever wondered why its colours vary from a light opaque colour vs a clear blue? Where do they start and how do they change? Access private and remote high country stations for an unforgettable Mackenzie experience. Next time you look out in awe and wonder at the impressive natural beauty that stands before you, perhaps have a think about what processes create such unique scenery and how it was formed. 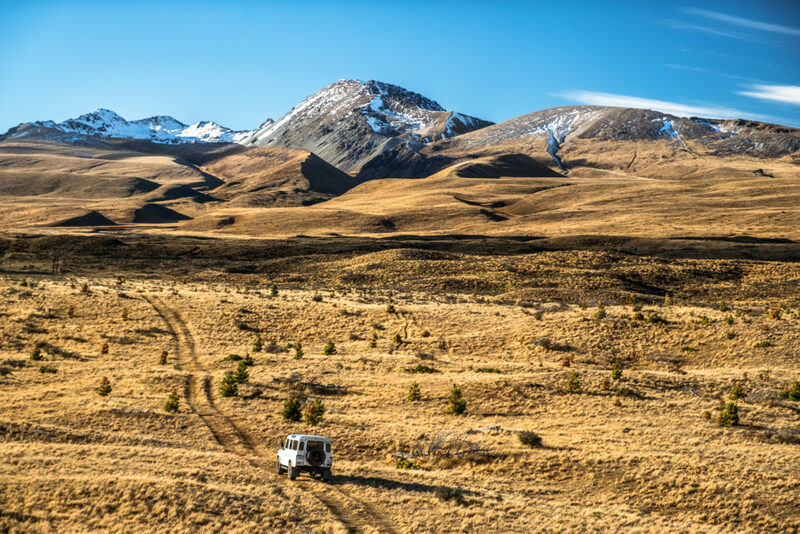 By joining one of our Lake Tekapo Tours by Scenic 4WD, you’ll travel through places you would not other wise be able to get to, and you’ll not only marvel at the unforgettable scenery, you’ll also develop a deeper understanding of its creation over thousands of years. We guarantee you’ll come off our tours more inspired, and with a few more stories to tell your friends about the reality of the beautiful Mackenzie Basin. Our Tekapo Tours range from 1.5 Hour Tekapo Scenic Merino High Country Tours, to our longer 3 and 4 hour journeys into some of New Zealand’s most incredible private High Country Stations, exclusively accessed by our Scenic 4WD Tours. Tekapo New Zealand delivers breathtaking scenery. Imagine what lies beyond the most visited shores in the South Island. Tekapo New Zealand is an easy stop in on your way through the stunning South Island. 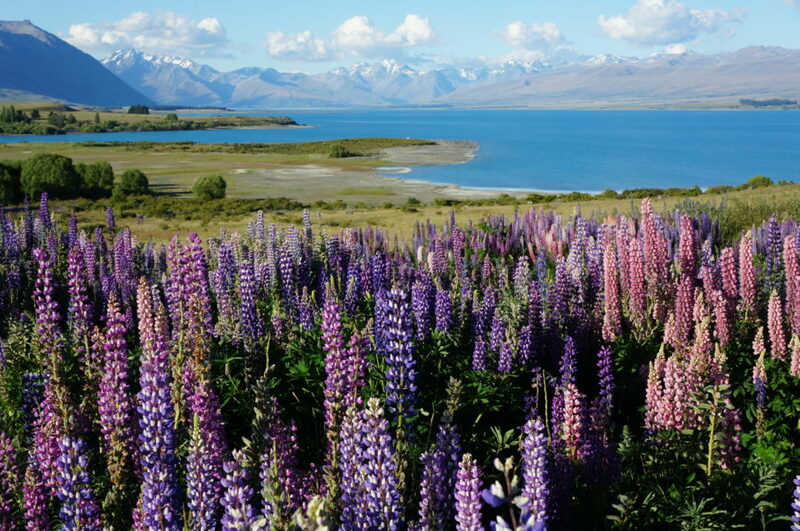 The word stunning encompasses the shores of Lake Tekapo. It’s a pretty incredible sight when you first discover that blue tat you haven’t seen anywhere else yet. Its also quite a sight when you see the masses of tour buses and selfie sticks all fighting to get the same photo of Tekapo’s lakeshore and snowy mountains in the distance. Of course you’ve got to take the iconic shot- but lets be honest, don’t you want to explore beyond the crowds and far away into the heart of it all? Imagination conjures the wild, the grandiose, the firece and the innocence. Were’ talking about New Zealand here, and we all have an idea of what beauty is. Tekapo New Zealand offers the reality of what we may imagine New Zealand’s most beautiful landscapes to offer. Its not just a turquoise deep blue lake, starry clear skies and a beautiful stone Chrurch, the areas beauty reaches far beyond the circumferences of the lakeshore, it flows deep into its headwaters, its deep braided river valleys, its golden tuccoskc covered hills and towering mountains peaks. Lake Tekapo offers some of the Worlds most famous Sheep Stations, working dogs and dusty clad roads opening up to grandiose landscapes that make the World crazy for New Zealand’s pure and natural scenery. 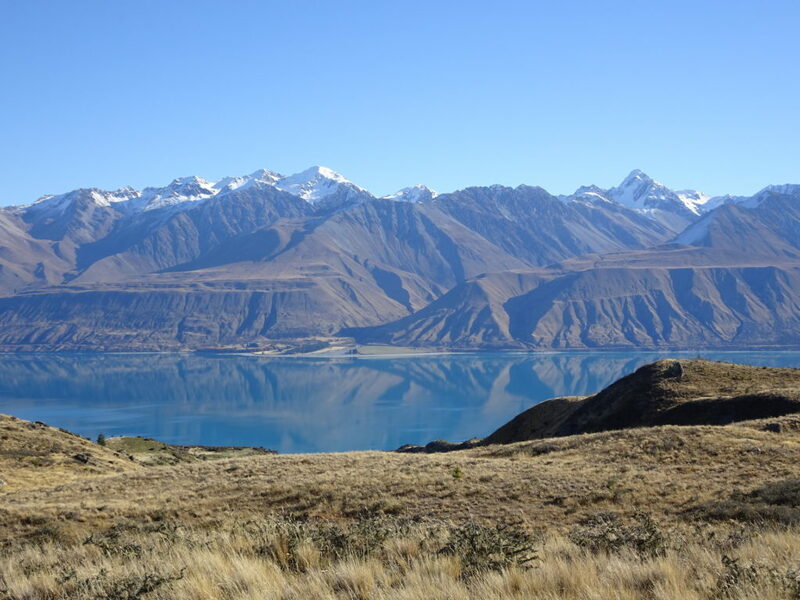 The Mackenzie Basin , Lake Tekapo, Lake Pukaki and it’s surrounding mountains ranges offer some of the Worlds finest scenery right at Tekapo’s doorstep, yet not many have ventured beyond.